Celebrate Kentucky Derby Day in style! Celebrate Cinco de Mayo on the Milwaukee River! 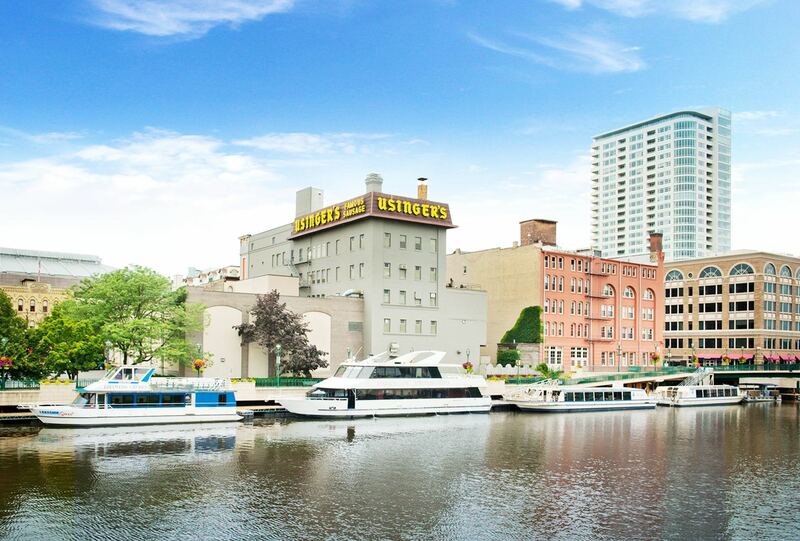 Milwaukee's complete tour of the Milwaukee River and Lake Michigan shoreline. Unwind after work with beer and brats on the Milwaukee River! Milwaukee's favorite weekend party venue for bachelors, bachelorettes, birthdays, or just an unforgettable night with friends. Edelweiss Cruises is Milwaukee's premier cruise company featuring the largest fleet variety in the area. All vessels feature outdoor viewing decks, restrooms, interior bars, and large enclosed cabins allowing for cruising in any weather condition. The Lakeside Spirit is a bi-level vessel with an open air top level that can accommodate up to 50 passengers. It is typically used for small private charters, but occasionally is taken out for the City Skyline Cruise and the Margarita Fiesta Cruise. The Harbor Lady is our newest and largest vessel that features 2 levels, 3 outdoor spaces, and has a capacity of 149 passengers. It is almost exclusively used for large, upscale private events. This boat does host the Champagne Brunch Cruise every Sunday and some special events such as the Wine Cruises, which are available to the public. Edelweiss I and II are European-style canal vessels that feature an interior cabin and 2 outdoor viewing decks. They are low to the water and easily navigate underneath the bridges of the Milwaukee River and into Lake Michigan. These vessels host the majority of our public cruises such as the Margarita Fiesta Cruise, Late Night Party Cruise, Dinner Cruises, Milwaukee Beer & Brat, City Skyline, Happy Hour, and the Historic Milwaukee Sightseeing Tour. These vessels can also be chartered for private events. Miss Wisconsin is our medium-sized bi-level vessel that can accommodate groups of 40-120. The lower level features the largest interior area and the upper level has a spacious outdoor area along with a smaller enclosed cabin. This vessel is used almost exclusively for private charters but can also be used for the Narrated Sightseeing Tour and the City Skyline Cruise.